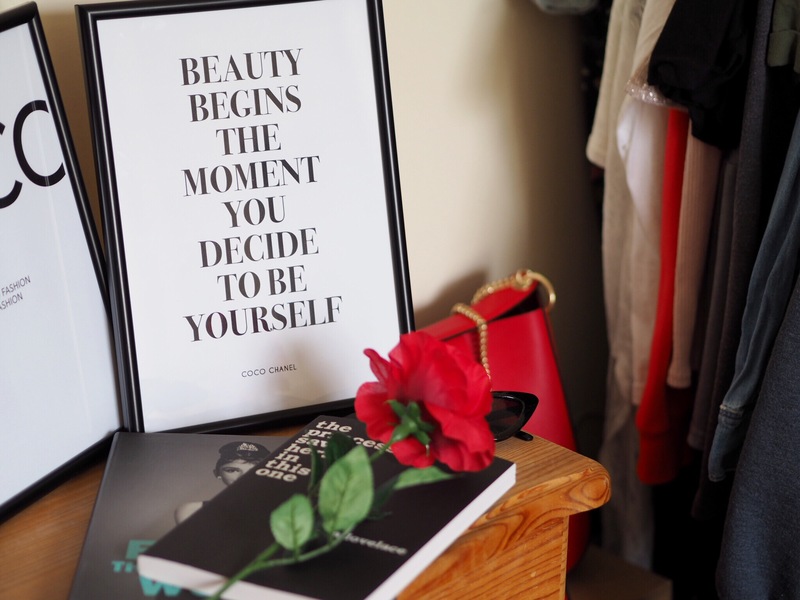 Recently I’ve seen a lot of fellow bloggers and Instagram girls not only showcasing their beautiful wardrobes, but their stunning home decor as well. 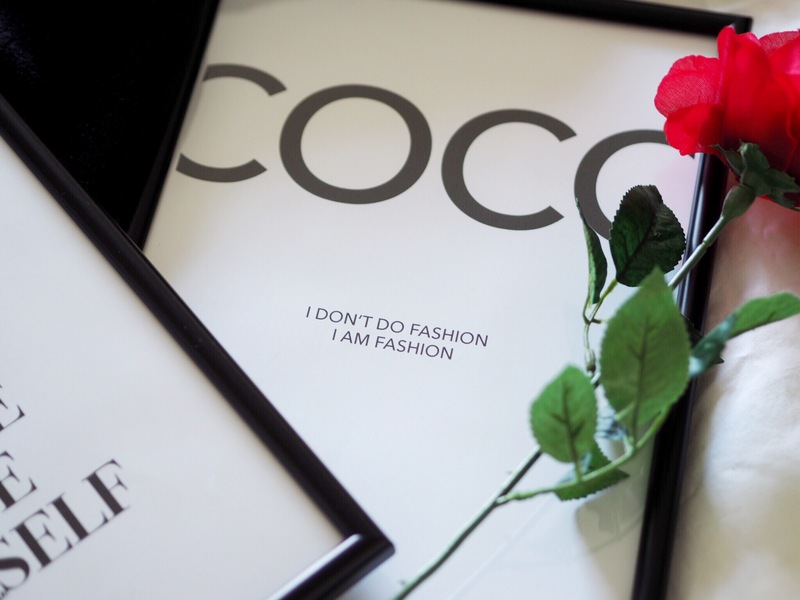 In particular, the items which have caught my eye are all of the beautiful framed prints I’ve seen. So when BlissPrintsUK, an independent print company, contacted me asking if I wanted to choose a couple of their A4 prints, I was pretty chuffed! Not only are the designs lovely, but the prices are really reasonable with most prints being only £3 or £3.50! They were also kind enough to set me up with a 20% discount code ‘robynpoppy20’ for any of you lovely people reading this to use, which makes them even better value! It’s valid off all prints on their website so go and have a look at their wide range of A4 prints at https://blissprintsuk.com. When I was scrolling through the site, there was such a big selection of so many lovely prints that I struggled to choose. 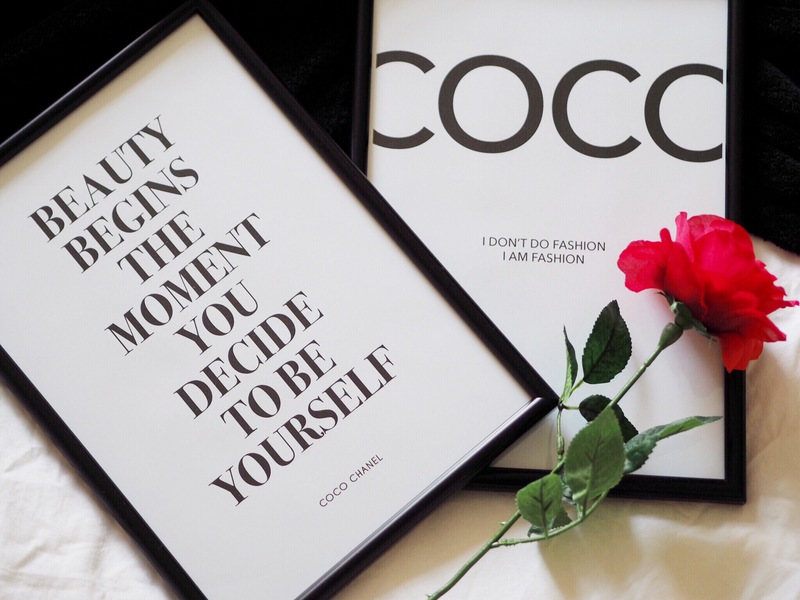 I decided to opt for two iconic fashion quotes by COCO Chanel which I knew would work perfectly in my room. You can shop this print for £3.50 on their website here. You can shop this print, also for £3.50, on their website here. 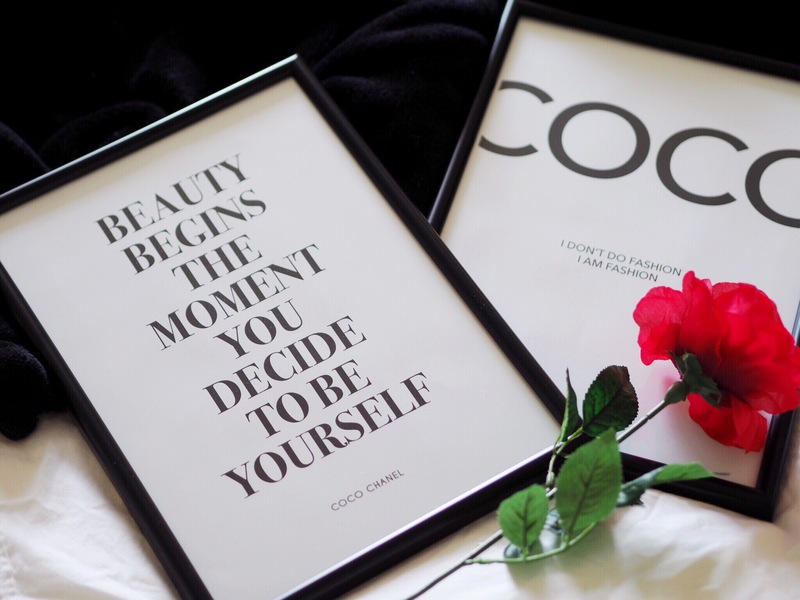 The prints come without frames, so I went out and bought a couple of cheap black ones from ASDA, for only £2.50 per frame, to make the quotes stand out against the white background. 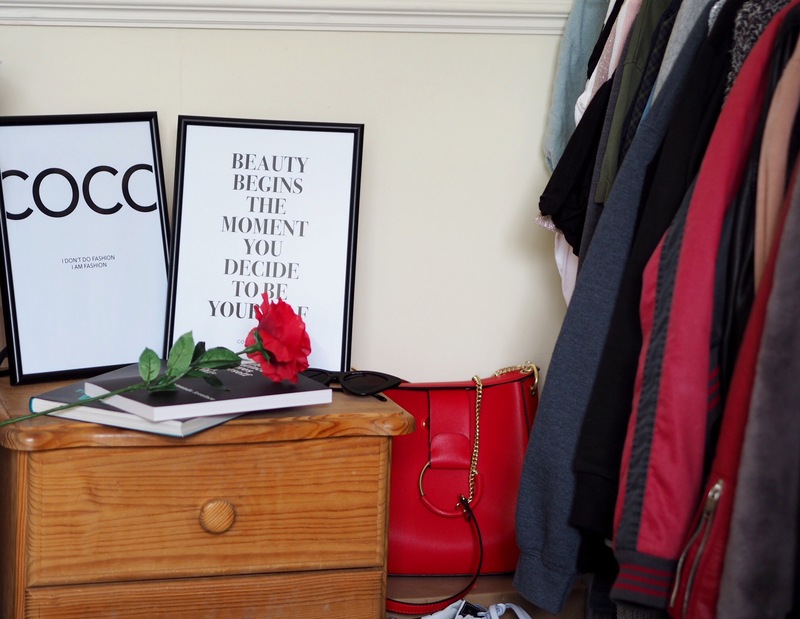 When it came to choosing where to put them in my room, I’m rubbish at DIY and I know that I’d take months to put them up on the wall, so instead I opted to prop them up on my little bedside cabinet, which sits next to my dressing rail. I thought this would add a nice touch to this area of my room. 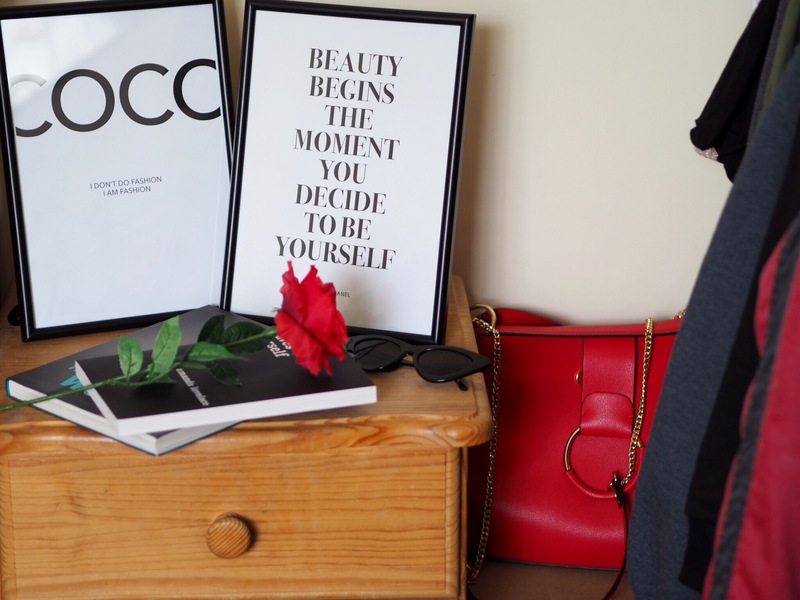 Overall, these are a great way to change up your room on a budget and if you’re thinking of buying some similar prints, definitely check them out! Plus, don’t forget to use the code ‘robynpoppy20’ at the checkout. "MAKING YOUR MONEY GO FURTHER THIS JANUARY"